The Football Association (FA) chief executive Martin Glenn has resigned and will step down at the end of the 2018-19 season. 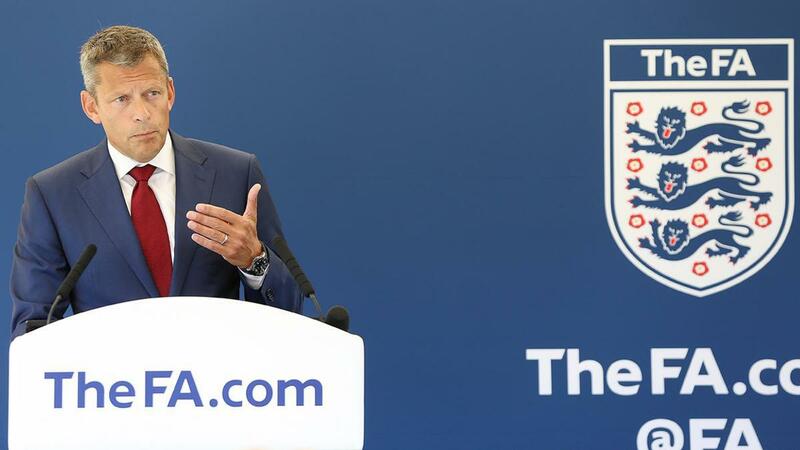 The announcement will bring an end a four-year tenure, during which the FA has experienced significant successes both on and off the field. The FA has seen a 40 per cent increase in revenues during Glenn's time at the helm, while on the field, the England's men's and women's teams both reached a World Cup semi-final. The Under-17 and Under-20 teams have also won their age-group World Cups. In a statement, the FA said Glenn had "chosen to leave", having "delivered much of what he came to do". The FA also credited Glenn with "changing its culture", citing figures which show that 34 per cent of its staff are now female and 12 per cent from a BAME background. "When I accepted the role of CEO at The FA, I was tasked with improving the effectiveness of the organisation and making it financially secure," explained Glenn. "I also joined with the strong belief that the England team's performance in tournaments could and should improve, and that the experience of the millions of people who play football could be a better one. "I will leave feeling proud of the success of the performance of all the England teams. I am confident that we have established in St. George’s Park, a world-class centre which will ensure that the teams will continue to build on their current successes. "I hope that The FA will be able to build on this by accelerating the breakthrough of English qualified players into the first teams. FA chair Greg Clarke added: "On behalf of the Board of The FA, I would like to thank Martin for building and leading a senior management team that has transformed our organisation. "His integrity, commitment, energy and passion for football has underpinned the improvements on and off the pitch. The resulting commercial success has funded hugely significant change in the women’s game, St. George’s Park, the FA Cup and the national teams. "Martin leaves as his legacy an organisation that is fit for purpose, more diverse, internationally respected and ready to progress to the next level. "I and the organisation will miss his effective, principled and compassionate leadership and wish him well." The Football Association (FA) CEO Martin Glenn has resigned and will step down at the end of the 2018-19 season.